Could Pinterest Be the Last Big Web-First Internet Company? Pinterest started in 2009 as a website for saving photos of things people were interested in. A couple years later, it added an iPhone version. And then, on August 14, 2012, the company launched apps for both Android and iPad. Employees placed bets on when native mobile app traffic would surpass Web traffic. Would it take weeks? Months? It was actually that very same day. And since then, Pinterest hasn’t received the majority of its traffic from the Web again (it doesn’t break out a specific number). “It’s definitely way over half,” said co-founder Evan Sharp in an interview at Pinterest’s new headquarters, in an airy brick building near the San Francisco Flower Market and the Hall of Justice. Those comments came at the very end of an open-ended hour-long conversation about design and mobile at Pinterest, so I’m not inclined to think Sharp was pushing some marketing spin. It’s a provocative argument that Pinterest could be sandwiched between the Web and mobile eras — following Web giants like Facebook and Tumblr as they slide to mobile, as well as others, like Pandora and Groupon, which have made an even stronger leap to phones, and preceding more recent mobile-first stars like Instagram and WhatsApp. So I ran Sharp’s contention by some outside sources. 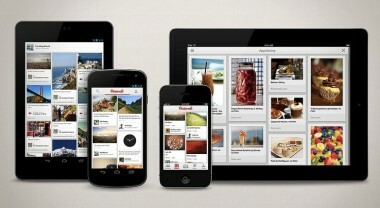 ComScore, for one, said Pinterest had 46 million U.S. visitors in March, with 53 percent of them accessing from mobile. Analyst Andrew Lipsman said he thinks the key distinction may be that companies in the past started on Web or mobile, and now they don’t have a choice of which. “I still think there will be emergent companies where desktop will drive the majority of activity, but it’s probably the case that the companies of tomorrow will have to develop for a multi-platform environment from the outset,” he said. Greylock Capital partner John Lilly, an investor in the recently sold Tumblr and also just briefly in Instagram, said he probably buys Sharp’s theory. But that doesn’t mean that the Web is over. “My instinct is to look for apps where people are in front of desks, like education and Coursera,” Lilly said. Another counterexample could be the Greylock-backed local social network Nextdoor, which is still small but intended for a broad audience. It just launched its first iPhone app last week. And then there are marketplaces like Airbnb and the merged food deliverers GrubHub/Seamless. 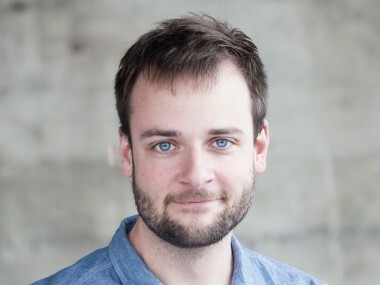 But back to Sharp, who leads Pinterest’s design and front-end engineering and prefers building native apps for touchscreen devices that people can take with them into all sorts of environments. Sharp might just have a bit of mobile-first envy, though he quibbles with the use of the word “mobile” to describe both smartphones and tablets. “A lot of companies try to make their apps very consistent, but I think different platforms are literally used very differently,” Sharp said, noting that Pinterest wants to make its various versions more distinct from each other in the future. That’s partly a matter of form — the tablet is a two-hand device; the phone often just one — but also a matter of usage. “The phone is for down moments in the cadence of everyday life,” Sharp said, whereas Pinterest users have a notable tendency to spend longer periods of time with the tablet app late at night. For more on where Pinterest came from and where it’s going, tune in to AllThingsD tomorrow for coverage of Pinterest co-founder and CEO Ben Silbermann in conversation on the D11 stage.